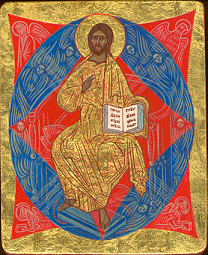 Poems - reflections by John Kinsella and icons by Alexander Deriev. Will be available next year. Alexander Deriev recently appeared on "The Journey Home", Marcus Grodi's EWTN program. Bishop Anders Arborelius showed Alexander Deriev's Icon on TV and mentioned his conversion to the Catholic faith and that he also teaches the Holy Art of icon painting. 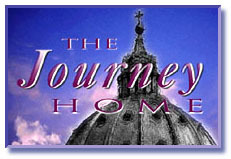 This time for the EWTN TV program "Journey Home". He mentioned that conversions have happened by students learning to paint their icons at Deriev's courses. We are very honored by this prestigious connection.